You may have noticed my absence for a few days. I have been in Sydney for work but am now safely home. 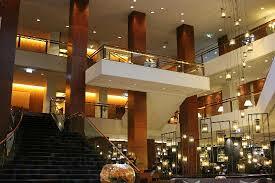 I stayed at the Four Seasons Hotel. Depending on which site you read it is 4 or 5 star. However, I found much of the experience over-the-top and excessive. The lighting in the foyer would illuminate an entire village in a Third World country. The extravagance was overwhelming and I can honestly say that I am relieved to be home. Give me the simple life any day. There seems to be an ever-increasing competition between luxury hotel brands to outdo the opposition so this type of experience is not limited to this particular hotel. I wonder how many people actually find this appealing. Since I have begun to look seriously at the stuff we own I consider every purchase we make carefully. Books are no exception and this has been particularly so since I bought my Kindle about a year ago. However, last week I bought a new book. 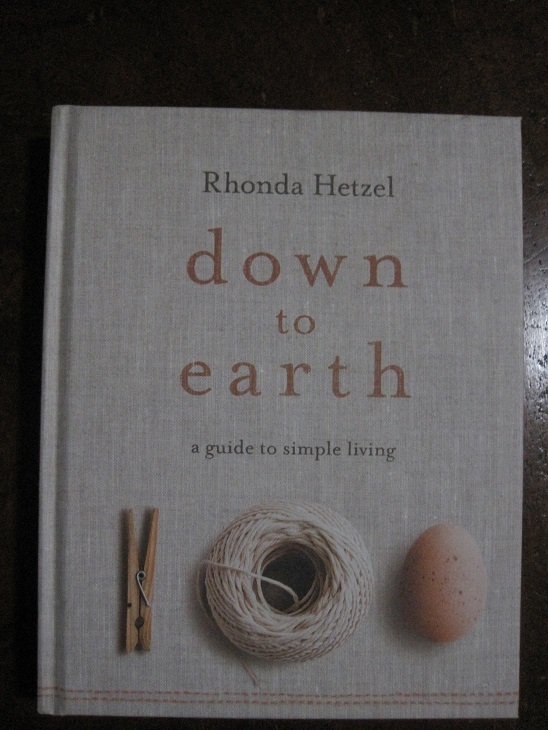 It is ‘Down to Earth’ by Rhonda Hetzel. Rhonda writes the blog of the same name and you can check it out here. When I first started reading Rhonda’s blog about a year ago, she made reference to the book she was writing and I dismissed any thoughts of buying it as the blog had heaps of information. How could there be anything new? Besides, I really didn’t not want another book to take up space in my house. After seeing a copy of the book, I was convinced it was worthwhile and would make an excellent reference book. This was not a knee-jerk reaction and after due consideration I purchased it at Rosetta Books in Maleny. This is our local bookshop and it is where Rhonda will be a guest for the Queensland book launch on Wednesday 14th March. 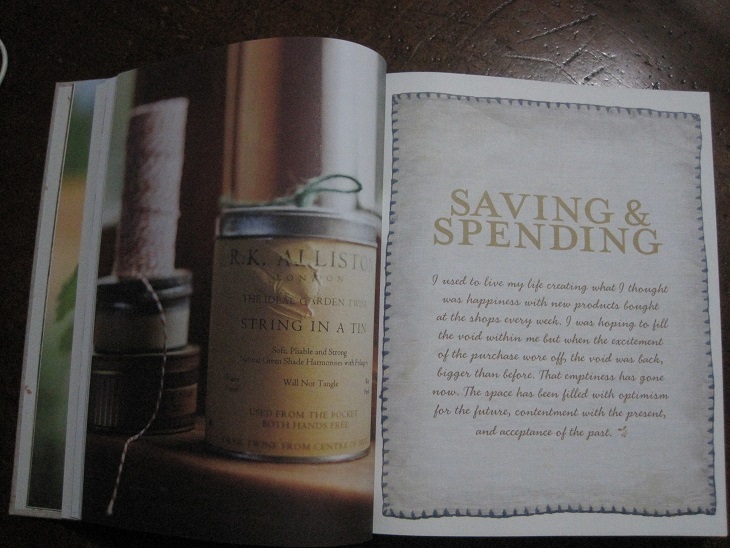 The book is 325 pages of wisdom bound into a linen-look, hardcover volume measuring 18.5cm x 23.5cm. It is an easy-to-handle size resource which I will use frequently. The information is presented in a logical format with a comprehensive table of contents. 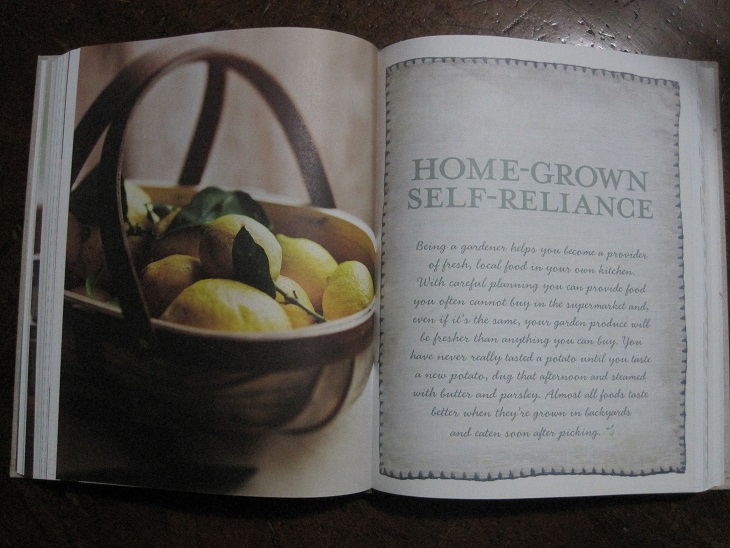 Rhonda has written a well-rounded guide to simple living suitable for all ages and stages. The title of one section is ‘Ages and Stages’ which explains, with outstanding clarity, the relevance of simple living during various decades of our adult life. This is not a glossy coffee table book, it is a gentle, honest guide to the benefits and value of simple living through one woman’s eyes. Come and be hooked, too.